NEWCREST group recorded an underlying profit of US$63 million in the first half of 2016 with free cash flow ofUS$254 million announced for the period. The group announced new developments and plans in all projects, including Lihir and Wafi-Golpu in Papua New Guinea. This was presented by the managing director and chief executive officer Sandeep Biswas at the BMO Global Metals and Mining Conference in Miami, Florida on February 29, 2016. 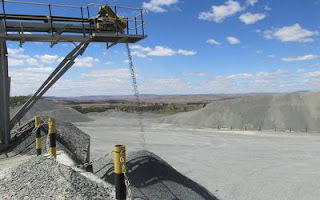 For the Lihir mine in New Ireland Province, Newcrest is set to focus on operational improvements and start delivering in the year. Newcrest highlighted its operational overview of Lihir in the report announcing a production increase of 37 per cent half-on-half. It has since taken on its pit optimization project, which is the "near shore cut off" totaling approximately US$ 215 million and remains subject to feasibility study and regulatory requirements. The updated Wafi-Golpu prefeasibility study of December 2014 identified improved business case for the project by splitting it into two stages. Stage one feasibility and stage two prefeasibility studies have been reviewed by the boards of Harmony and Newcrest. Newcrest says commitment to major earthworks for access declines is dependent upon a pre mine development agreement with the Papua New Guinean Government and board approval. Wafi-Golpu in the Morobe Province is a world class growth option and Newcrest aims for active exploration and early stage entry program.